With treasured recipes, Chloe Shorten shows how eating together as a family offers more than a meal: it can nourish relationships and nurture your children. 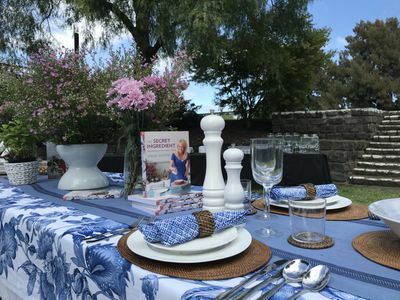 Chloe reveals ways to encourage the connections we make at the family table. 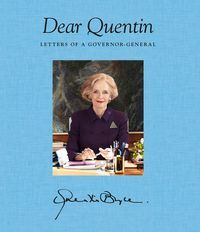 She shares her tried-and-true recipes passed down from family, friends and neighbours across Australia: her mum Dame Quentin Bryce's popular eggplant parmigiana, icon Wendy McCarthy's perfect roast chicken and a chocolate cake so divine it was served in restaurants. The Secret Ingredient invites you to bring the remarkable power of the family meal into your home. Much of a parent’s work in families with more than one child is teaching them to respect one another. 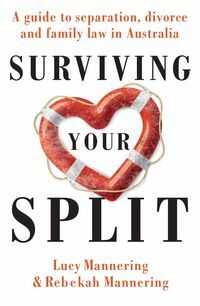 In stepfamilies, I’ve learned meals together are a fundamental peacekeeping force, a way of getting everyone to understand each other, share daily experiences and points of view, and that the more times we sit together and break bread, the greater the chance to understand and accommodate each other—even if that sometimes means squabbles, tears or frustrations. 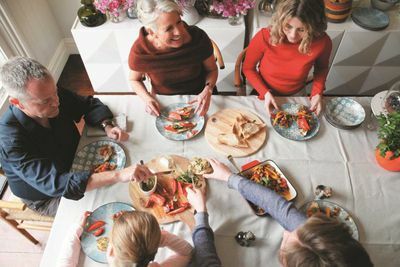 How we conduct and resolve dinnertime conflicts are vital life lessons. 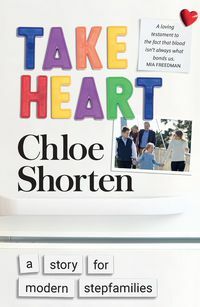 We love a good motto in the Bryce family—ours is ‘Take Heart’. It’s so optimistic and reassuring—it’s also a call to be courageous when things are difficult and to remember that on the other side of hard times life is wonderful. The coat of arms has a deer with a wattle sprig in its hoof. The wattle symbolises Australia, there’s a doctoral cap for Mum, the compass and protractor is for my architect father, the five stars represent the kids, and the cross of St Andrew refers to our Scottish heritage. 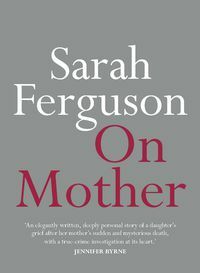 Laughter, tears, memories both good and bad can be traced back to the family table. 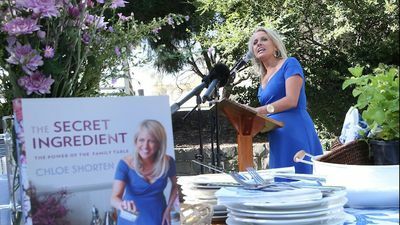 She may not cook a souffle "without wrinkling a suit" like her mum Dame Quentin Bryce but Chloe Shorten, wife of federal opposition leader Bill, sure can cook. 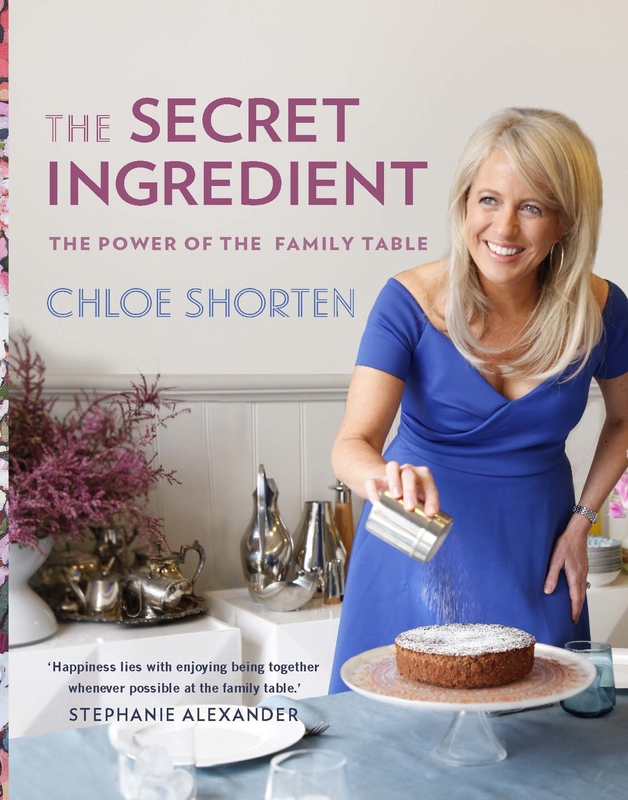 Chloe Shorten says the philosophy of the book is not to cook the perfect meal, but to not be scared away from cooking because it won't be perfect and pleasing everyone is tough. Launching the book with her is home cooking superstar Stephanie Alexander and Opposition Leader Bill Shorten.